DUBAI (Reuters) - Iran plans to loosen Internet censorship by introducing "smart filtering" which only keeps out sites the Islamic government considers immoral, Communications Minister Mahmoud Vaezi said on Wednesday. Censorship has eased somewhat since Hassan Rouhani was elected last year on a moderate platform the "smart filter" initiative seemed to reflect. "We have signed agreements with three universities and research institutes to develop smart filtering to block only depraved and immoral sites, but allowing access to other pages,"
"Smart filtering is used for specific targets only and presently the project is undergoing experiments," he was quoted by Mohr news agency as saying to journalists. But he did brush aside rumors that Tehran would start filtering the latest teen fad, the WhatsApp Messenger instant messaging service. "What is being said about this matter is mainly non-sense - propaganda," he said. Their offensive peaked during a crackdown on freedom of speech in the wake of mass protests against former president Mahmoud Ahmadinejad's disputed reelection in 2009. Many bloggers were jailed and at least one person was sentenced to death for running what was called a "promiscuous" website. 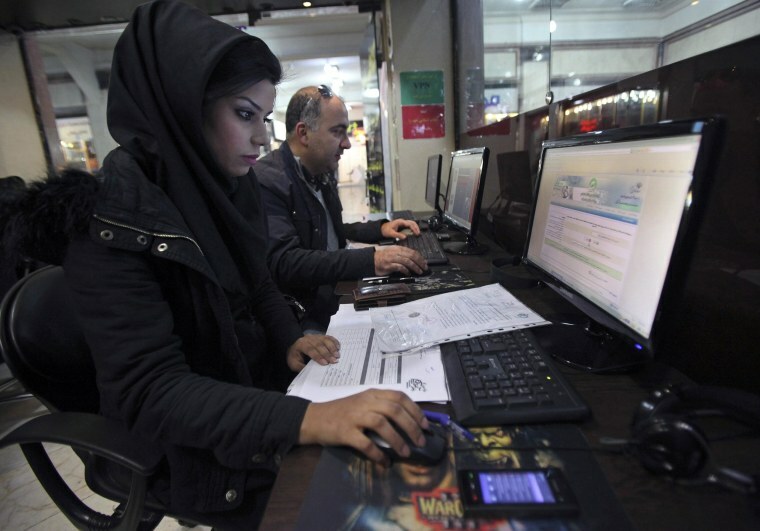 Two years ago, Iran's supreme leader Ayatollah Ali Khamenei set up a supervisory board to monitor Internet access.